Geraint Owen Jones MBE (born 14 July 1976) is a former England and Papua New Guinea international cricketer. Born to Welsh parents in Papua New Guinea, he grew up in Australia from infancy. 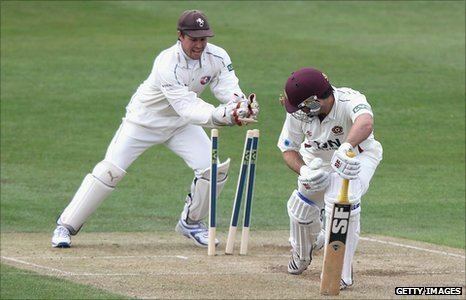 From 2004 until 2006 he was the first-choice wicketkeeper for England in both Test and One-day cricket, but subsequently fell behind Chris Read, Paul Nixon, Matt Prior and Tim Ambrose. He later played international cricket for Papua New Guinea from 2012 to 2014. 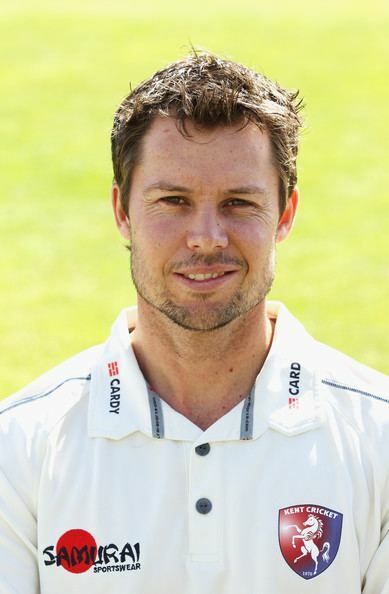 He announced his retirement from first-class cricket on 8 July 2015 following his resignation as the first-class cricket captain of Gloucestershire County Cricket Club. Brentwood School, Essex announced on 4 September 2015 that he had joined their staff to replace the recently retired Brian Hardie as cricket coach. Jones was born in Kundiawa, Papua New Guinea and moved to Australia with his parents, who were originally from Wales, soon after he was born. He grew up in Toowoomba and Brisbane, Queensland, played for the Queensland Colts (Under-21) team, and was awarded the wicketkeeper's trophy for most dismissals in the Brisbane Grade Cricket competition in 1995/96 when he was 19/20. His first club in England was Lydney CC in the Forest of Dean but he returned to live in Australia until he was 22. Upon his return to Britain he played for Clevedon CC where he met Jen, then a student at Aberystwyth University. The following season he joined Abergavenny CC, Wales and was later appointed captain. Whilst at Abergavenny he trained as a pharmacist. Geraint and Jen have two sons, Rhys and Thomas. After retiring, Jones joined Brentwood School as their cricket professional in November 2015. Jones spent most of his career playing for Kent. 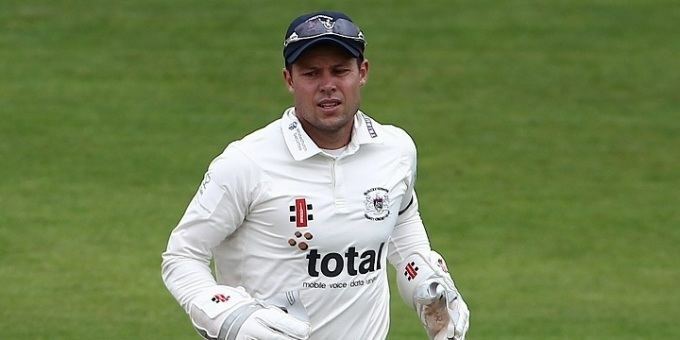 He signed a two-year deal with Gloucestershire in October 2014, but retired only after a year with the club. He replaced Chris Read as England wicketkeeper during the 2004 tour of the West Indies. Later that year, he hit a Test match century against New Zealand, including fifteen fours and one six. 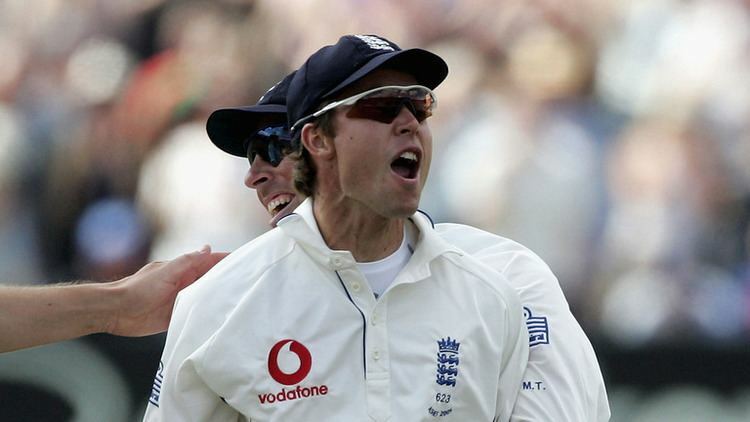 In the 2004/5 Winter tour of South Africa he took part in all of England's Test and One-day matches. Notably, he scored a quick 73 in the drawn Test match at Durban and stumped Andrew Hall from the last delivery of the tied One-day match in Bloemfontein. In 2005 he made five catches and scored 71 in a defiant partnership with Paul Collingwood to conjure a tie from the depths of 33/5 in the final of the NatWest Series against Australia at Lord's. A fine moment in his Test Career was making the catch of Michael Kasprowicz off the bowling of Steve Harmison, which won the Edgbaston Test in the 2005 Ashes Series by just two runs. 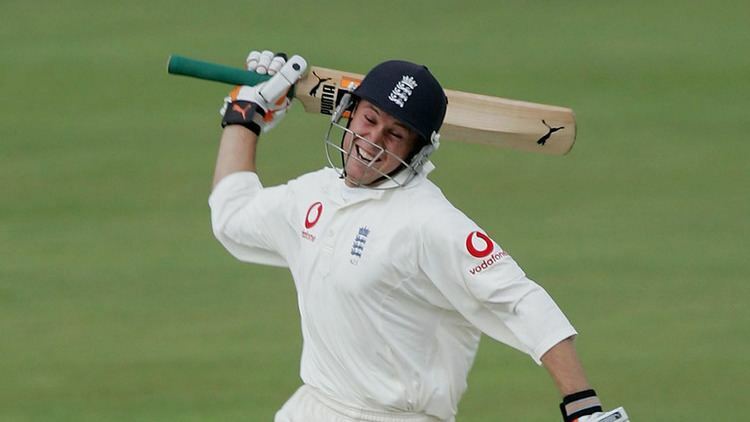 Jones also played a major role in the Trent Bridge test, where he supported Andrew Flintoff to help him reach his century whilst making a tidy 85 himself. 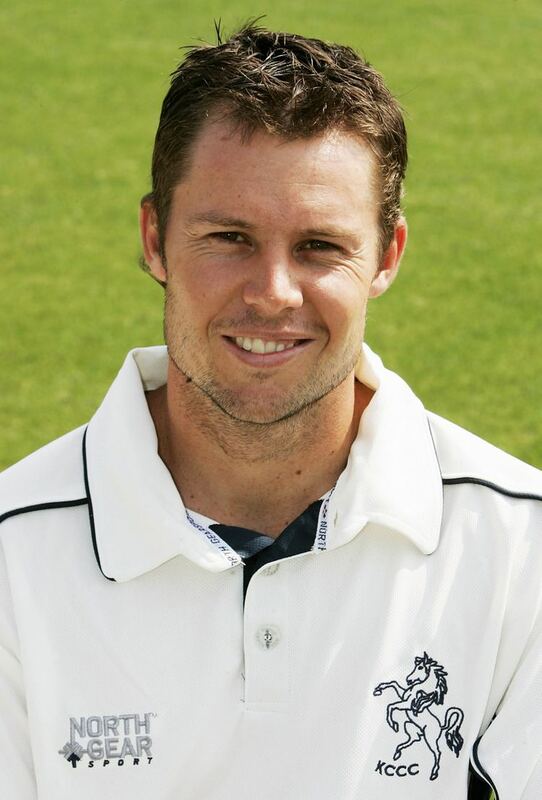 In the 2006 New Year's Honours List, Jones was awarded the MBE for his role in the successful Ashes series. A succession of dropped catches and missed stumpings during his England career had caused many commentators to question whether his value to the team as a batsman was sufficient for him to hold his place against competition from more accomplished wicket-keepers such as Read and James Foster. Until mid-2006 the England selectors maintained faith in Jones believing that he offset his mistakes with several well-timed performances with the bat. His batting form tailed off and he was dropped in favour of Chris Read for the third Test against Pakistan in 2006. Despite this coinciding with Jones suffering a broken finger, it was stressed by David Graveney, the Chairman of Selectors, that Jones was dropped due to his form with the bat. Ironically, Jones initially gained his place in the England side because he was perceived to be a better batsman than Read. Jones was not awarded a 12-month central contract for 2007, although neither was his rival for the England wicket keeper place, Chris Read. Both Jones and Read were selected for the 2006-07 Ashes series, and Read was dropped before the first Test in favour of Jones, as Jones was perceived as the stronger batsman. After a dreadful showing in the 2006-07 Ashes series, including a pair in the third Test at Perth, where his second innings dismissal was an embarrassing run out by Ricky Ponting while waiting on an lbw call, Jones was omitted from the one-day squad to play Australia and New Zealand and never regained his England place in any form of the game. Jones played for Papua New Guinea in the 2012 ICC World Twenty20 Qualifiers in the United Arab Emirates. His best score was 46 off 33 balls in Papua New Guinea's victory over Denmark. Papua New Guinea finished eighth out of 16. The tournament ended in late March, and Jones resumed his career with Kent in early April. He would again represent PNG in the 2013 ICC World Twenty20 Qualifier, where he was a standout in the middle order for the side and provided much needed stability to the lineup. Scoring 216 runs, with an average of 27 and a high score of 55. In early January 2014 he again represented PNG this time in the 2014 WCQ held in NZ. He didn't fare as well this time with a saving grace innings coming against Hong Kong, top scoring with 88. His highest score for PNG. PNG finished 4th in the tournament thus claiming ODI and T20I status. 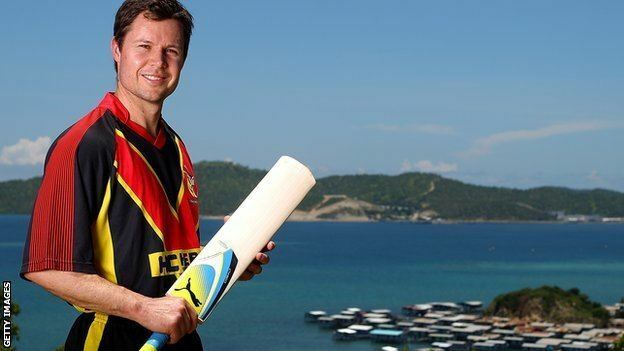 It was announced that PNG would play Hong Kong in two ODIs on 8 and 9 November 2014 in Townsville, Australia. Jones made his ODI debut for Papua New Guinea on 8 November. On 13 July 2006, during England's first Test with Pakistan, Jones became the world-record holder for most Test innings played without having scored a duck (46 innings). Jones went on to make a further five innings before failing to score in his 52nd innings. Having batted fifty one times without registering a duck, he then bagged a pair in his final two Test innings.